In the last decade, a new class of data management systems collectively called NoSQL systems emerged and are now intensively developed. The main feature of these systems is that they abandon the relational data model and the SQL, do not fully support ACID transactions, and use distributed architecture (even though there are non-distributed NoSQL systems as well). As a result, such systems outperform the conventional SQL-oriented DBMSs in some applications; in addition, such systems are highly scalable under increasing workloads and huge amounts of data, which is important, in particular, for Web applications. Unfortunately, the absence of transactional semantics imposes certain constraints on the class of applications where NoSQL systems can be effectively used and the choice of a particular system significantly depends on the application. In this paper, a review of the main classes of NoSQL data management systems is given and examples of systems and applications where they can be used are discussed. Original Russian Text © S.D. Kuznetsov, A.V. Poskonin, 2014, published in Programmirovanie, 2014, Vol. 40, No. 6. NOSQL databases. http://nosql-database.org/. Accessed March 14, 2013. Wiggins, A., SQL databases don’t scale. http://adam.heroku.com/past/2009/7/6/sql-databases-dontscale/. Accessed March 14, 2013. Obasanjo, D., Building scalable databases: Denormalization, the NoSQL movement and Digg. http://www.25hoursaday.com/weblog/2009/09/10/BuildingScalableDatabasesDenormalizationTheNoSQLMovementAnd-Digg.aspx. Accessed March 14, 2013. Baldoni, R. and Raynal, M., Fundamentals of distributed computing-a practical tour of vector clock systems. http://net.pku.edu.cn/~course/cs501/2008/reading/a-tour-vc.html. Accessed March 14, 2013. Merriman, D., On distributed consistency. http://blog.mongodb.org/post/475279604/on-distributed-consistency-part-1. Accessed March 14, 2013. Abadi, D., Problems with CAP, and Yahoo’s little known NoSQL system. http://dbmsmusings.blogspot.com/2010/04/problems-with-cap-and-yahoos-little.html. Accessed March 14, 2013. Cattell, R. Scalable SQL and NoSQL data stores. http://www.cattell.net/datastores/Datastores.pdf. Accessed March 14, 2013. Strauch, C., NoSQL databases. http://www.christ-of-strauch.de/nosqldbs.pdf. Accessed March 14, 2013. Memcached — a distributed memory object caching system. http://memcached.org/. Accessed March 14, 2013. Memcachedb—a distributed key-value storage system designed for persistent. http://memcachedb.org/. Accessed March 14, 2013. Couchbase server. http://www.couchbase.com/. Accessed March 14, 2013. Project Voldemort. http://www.project-voldemort.com/. Accessed March 14, 2013. Kreps, J., Project Voldemort: Scaling simple storage at LinkedIn. http://blog.linkedin.com/2009/03/20/project-voldemort-scaling-simple-storage-at-linkedin/. Accessed March 14, 2013. 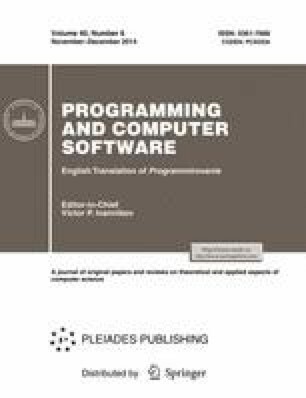 Karger, D., Sherman, A., Berkheimer, A., Bogstad, B., Dhanidina, R., Iwamoto, K., Kim, B., Matkins L., and Yerushalmi, Y., Web caching with consistent hashing. http://www8.org/w8-papers/2a-webserver/caching/paper2.html. Accessed March 14, 2013. Oracle Berkeley DB. http://www.oracle.com/technet-work/products/berkeleydb/overview/index.html. Accessed March 14, 2013. Project Voldemort design. http://www.project-voldemort.com/voldemort/design.html. Accessed March 14, 2013. Amazon DynamoDB. http://aws.amazon.com/dynamodb/. Accessed March 14, 2013. Redis. http://redis.io/. Accessed March 14, 2013. Who’s using Redis? http://redis.io/topics/whosusing-redis. Accessed March 14, 2013. Riak. http://basho.com/riak/. Accessed March 14, 2013. Introducing JSON. http://json.org/. Accessed March 14, 2013. Riak users. http://basho.com/riak-users/. Accessed March 14, 2013. NoSQL database, in-memory or flash optimized and web scale—Aerospike. http://www.aerospike.com/. Accessed March 14, 2013. Aerospike—ACID compliant database for mission-critical applications. http://www.aerospike.com/performance/acid-compliance/. Accessed March 14, 2013. MongoDB, 10gen. http://www.mongodb.org/. Accessed March 14, 2013. DB-engines ranking. http://db-engines.com/en/ranking. Accessed March 14, 2013. MongoDB production deployments. http://www.mongodb.org/about/production-deployments/. Accessed March 14, 2013. Apache CouchDB. http://couchdb.apache.org/. Accessed March 14, 2013. CouchDB lounge. http://tilgovi.github.com/couchdb-lounge/. Accessed March 14, 2013. CouchDB in the wild. http://wiki.apache.org/couchdb/CouchDB-in-the-wild. Accessed March 14, 2013. Couchbase, Learn about Couchbase server. http://www.couchbase.com/learn. Accessed March 14, 2013. Apache HBase. http://hbase.apache.org/. Accessed March 14, 2013. Apache Hadoop. http://hadoop.apache.org/. Accessed March 14, 2013. Apache HBase ACID properties. http://hbase.apache.org/acid-semantics.html. Accessed March 14, 2013. Apache Cassandra. http://cassandra.apache.org/. Accessed March 14, 2013. Cassandra users. http://www.datastax.com/cassandrausers. Accessed March 14, 2013. Neward, T., The Vietnam of computer science. http://blogs.tedneward.com/2006/06/26/The+Vietnam+Of+Computer+Science.aspx. Accessed March 14, 2013. VoltDB. http://voltdb.com. Accessed March 14, 2013. H-Store. http://hstore.cs.brown.edu/. Accessed March 14, 2013.